Similar to most, I love pumpkin everything. This weekend I was craving pumpkin bread, but decided that I did not want the hassle of baking in a loaf pan, wondering if it would turn out, and praying that it held up for slicing. Bars sounded much more convenient, and I couldn't help but think of the ease of slicing through a piece of pumpkin pie. 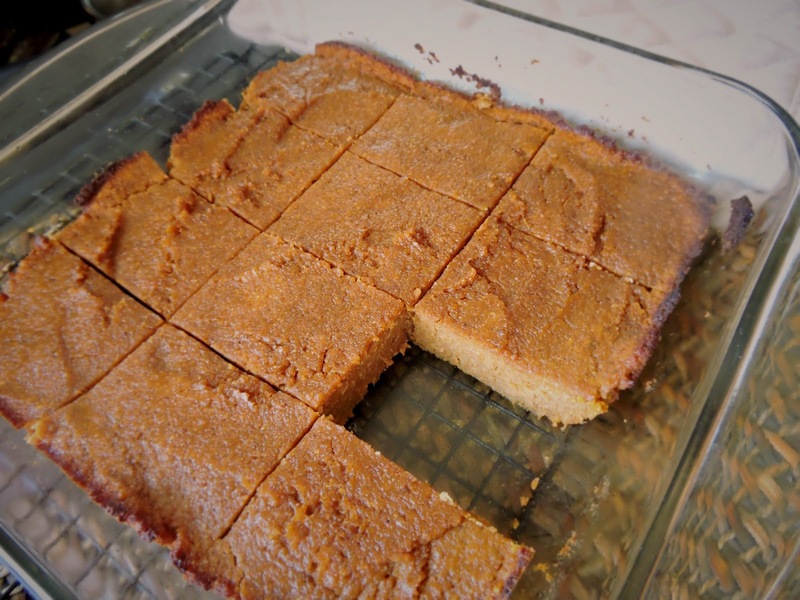 These bars have the texture & taste of a slice of pumpkin pie, are absolutely easy to make, and require just a few simple ingredients. 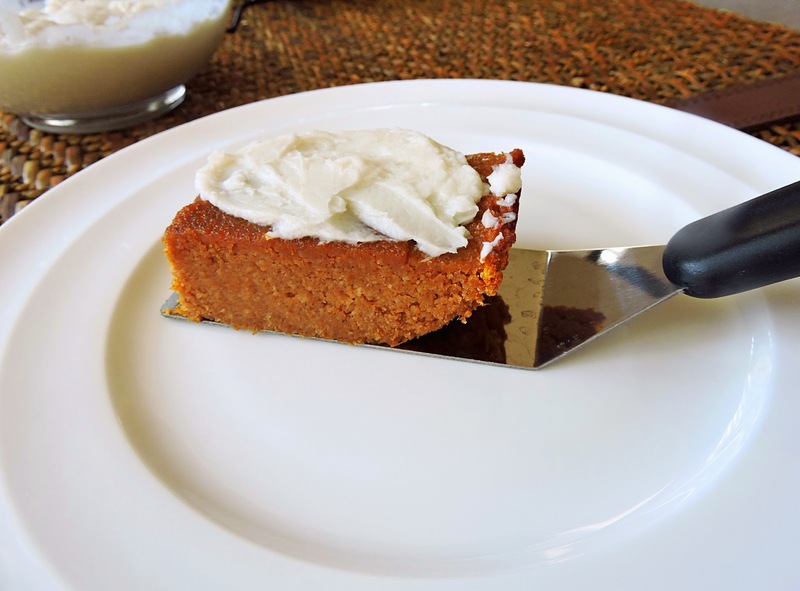 The frosting is optional- but I highly recommend it! 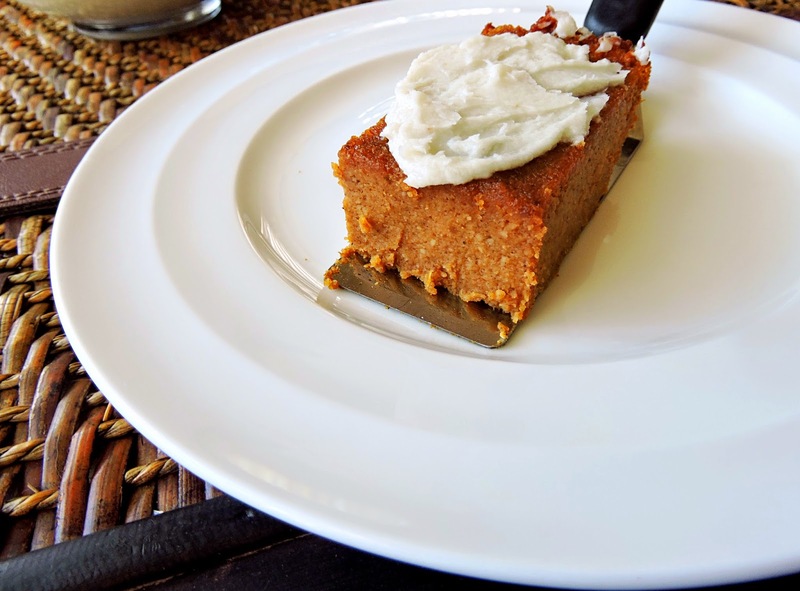 I also love that aside from being completely Paleo-friendly, this recipe is also nut-free. I hope you guys give these a try- and that you love them as much as I do! Enjoy! Add all of the bar ingredients to a large bowl, and stir until combined & smooth. Grease a 8" square baking dish with coconut oil so that the bars don't stick. Pour the batter in and smooth out the top. Bake for 40 to 45 minutes, or until firm and lightly browned around the edges. Allow to cool completely, then refrigerate until chilled. Slice them when they're cold~ it's easier! To make the frosting, add the ingredients in a medium bowl and stir until smooth & creamy. Try heating the coconut butter a bit if it's difficult to smooth out, and make sure your jar of coconut butter is fully mixed before hand. Hi Jessie-My frosting came out a little grainy. Any advice on how to fix this? Hi Krista! Make sure your coconut butter is stirred until it's completely smooth. If you get too much of the solid part, that could cause it to be grainy. Hope that helps! Yum, great way to enjoy a bumper pumpkin crop at the farmer's market.